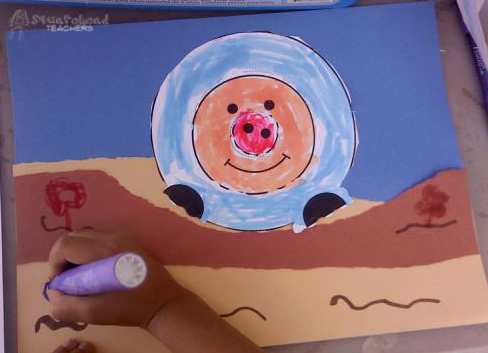 Here’s a fun, easy craft project that’s simple enough that my kindergarten kids figured it out with hardly any help. 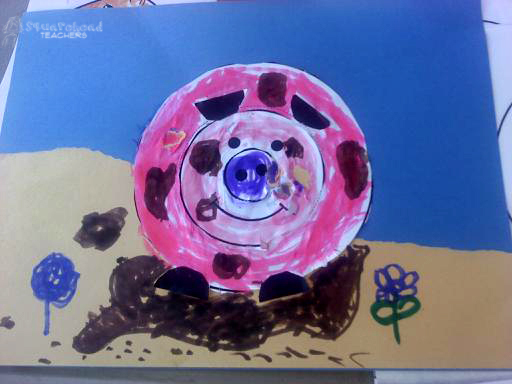 Each kid decorated their pig however they wanted. Then they told each other a story about how the pig came to look the way it looked. The stories got pretty wild (which is the fun part). 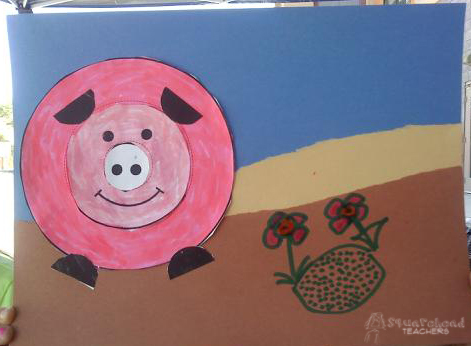 You could even go on to focus on adjectives that describe the pig, nouns the pig likes, write a story about the pig, etc. Have fun! One fell down and he got hurt. Repeat until no piggies are left. They all fell down; they all got hurt. Outside, no piggies can be found. They’re all indoors, safe and sound. 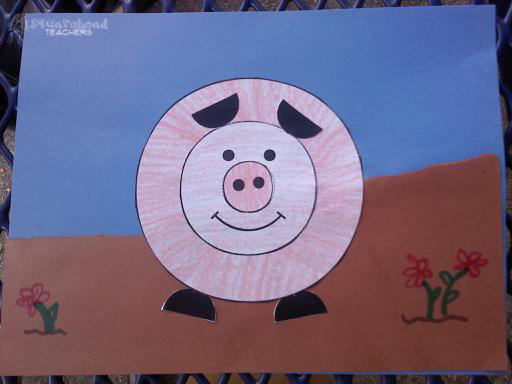 This entry was posted in Art/Crafts, Writing and tagged Art/Crafts, Children, Education, Elementary School, Homeschool, Kids, kindergarten, Teacher Resources, Teaching by Squarehead Teachers. Bookmark the permalink. So true. The mud was totally the kindergartner’s idea. Way cute!